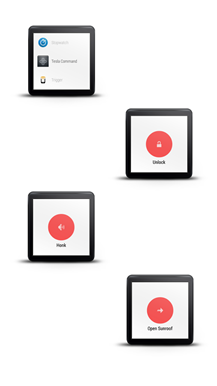 Welcome to the future, ladies and gents. Your jacket isn't dry, your pizza isn't freeze-dried, and your car can't fly, but if it comes from Tesla, it's still pretty cool. 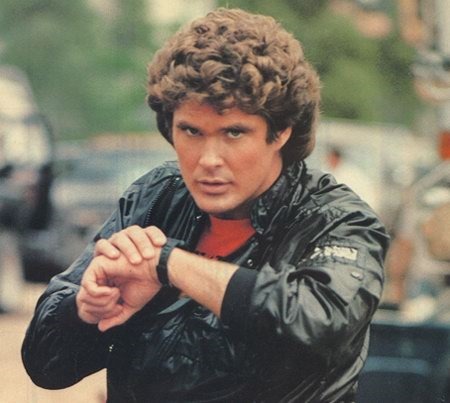 If you also happen to have an Android Wear device, you can pretend to be Michael Knight by talking to your car through your watch, thanks to the unofficial Tesla Command app for Wear. Unfortunately it won't talk back, unless you count honking the horn. 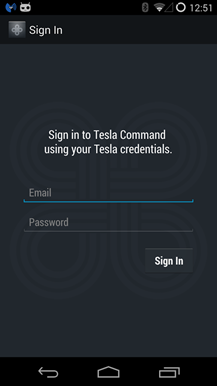 We've covered Tesla's nifty app for the Model S before. It does all kinds of stuff that my beaten-up Ford pickup can't, like track the car's location, mileage, and battery level. 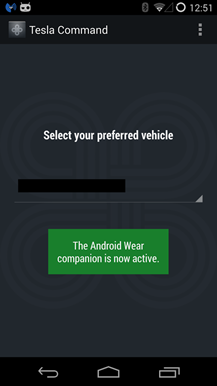 This unofficial Wear extension from developer Harth Labs doesn't have all those bells and whistles, but it does let you do all the things you might find on an electronic key fob, plus a few more. 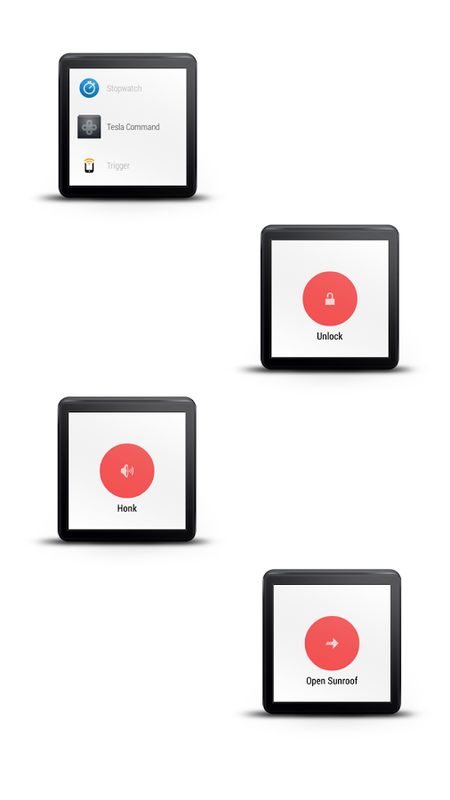 Right now it can lock and unlock your car doors, open and close the sunroof, and honk the horn. 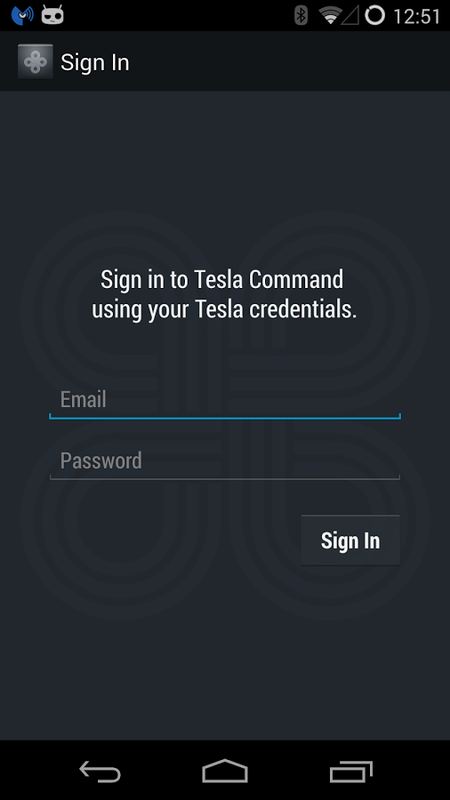 The app requires you to sign in to Tesla's online service, presumably so it can use the car's built-in data connection. 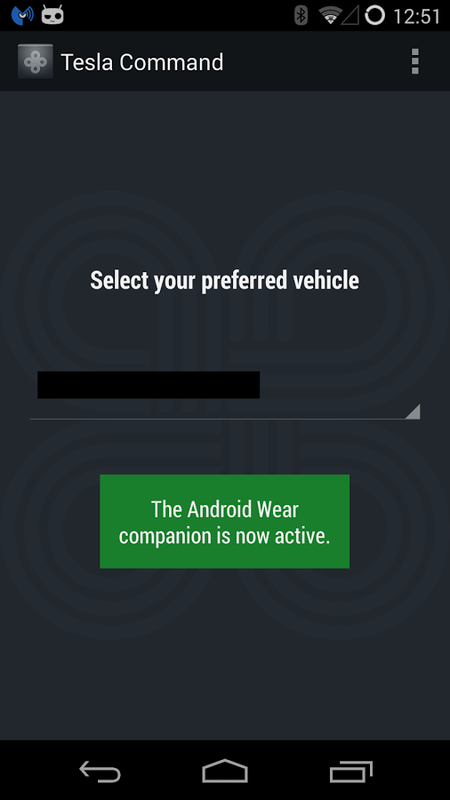 Apparently it doesn't require the official Tesla app in order to work. That's some real future tech.